Doctors Alex Batta and Massimo Arcerito discuss how the da Vinci robotic surgery system tool can help doctors provide greater surgical accuracy through smaller incisions, resulting in faster healing times and significantly less bleeding and scaring. The tool is especially helpful during ontological surgery. 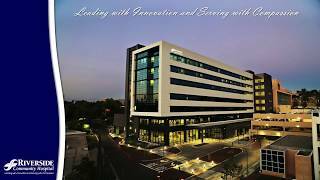 Take a brief tour of our newest wing of our hospital. 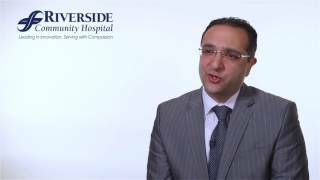 Samer Ghostine, MD from Riverside Community Hospital discusses why he decided to become a doctor. Watch this video to learn more. Are There Any Known Causes or Precipitating Factors for Ovarian Cancer? Causes of ovarian cancer lie on a broad spectrum, varying from genetic causes to other general factors. Listen as Samar Nahas, MD, from Riverside Community Hospital lays out the different potential causes of ovarian cancer. Samar Nahas, MD from Riverside Community Hospital opens up about the reasons and inspirations behind why she decided to become a doctor. Watch this video to learn the full story. Are There Any Precipitating Factors for TIA or "Mini Stroke"? What Is TIA or a “Mini Stroke”? 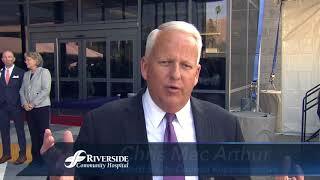 What do you love about Riverside Community Hospital?